So the walls of our little pub have been on an adventure. Rather naively we walked in on Day 1 thinking a lick of paint here, replace the wallpaper there and we’d be in business. WRONG! Very quickly it became apparent that most of the plasterboard that lined the inside the front bar, snug and WCs needed replacing. So the team hit, levered, smashed, pulled, hammered, chiseled, drilled and swore at these walls and approximately 60 square metres of tiles lining the WCs until they all came down! 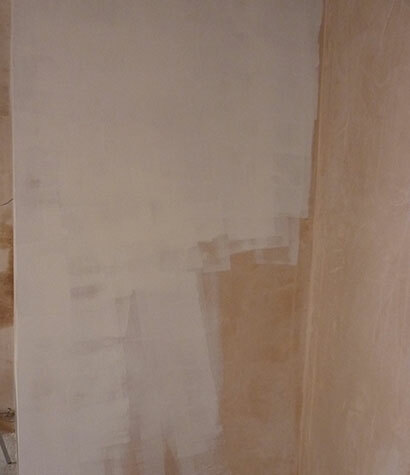 Then we treated said walls with the appropriate materials, lined with membranes where necessary, re-battened in places, installed plasterboard (including water resistant and fire resistant boards), then plastered over the top. The pace was cracking but for so long it’s felt like a building site, it was hard to imagine the end result. 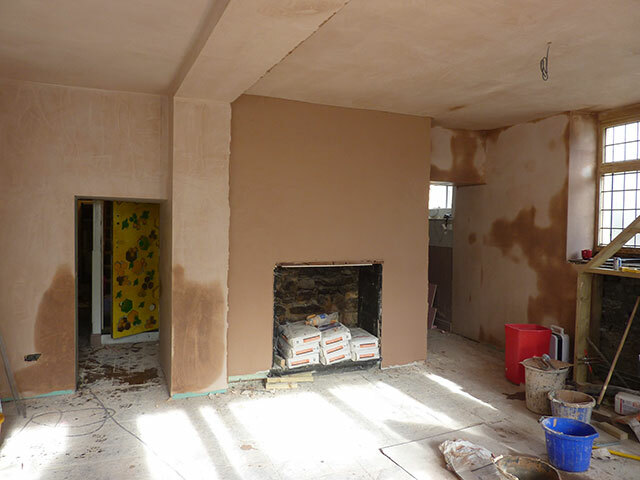 But when the plastering was done, everything was so…smooth! As soon as large bits were dry enough, Ryan got straight to it and began rolling on the undercoat. Such an exciting day! The women’s and men’s toilets have undergone a similar transformation and plasterboard has been plastered and now ready to paint. Next week Chris the tiler joins us to get those babies ready for toilets and sinks to be installed. So our walls have taken a journey and it’s nearly complete. The space is starting to feel very white and clean, ready for the next phase of building the bar itself and for the finer points of the decor put in place. Our to-do list seems very long still, though and we have quite a few more weeks before we’re going to be ready to open the doors officially, but every day we get closer to realising our dream and introducing Chapter One to its locals! Previous post The work goes on…and on…and on! Next post Spring has sprung and we nearly have a pub!